A good CMS provides you a straightforward way to edit, create, index and manage all the pages on your website. You don’t have to know HTML to edit any page of your website. If you know how to use a basic word processing application, you can use our CMS with no more than a few moments introduction. All you have to do to edit the front-end of your website is log in to the back-end Admin area and then go to the front end of your website. Hover your mouse over any element on the page and directly edit what you want to fix without having to dig and dig for what you need on the back end. So quick and easy! Need to change text content quickly? Need to get rid of a page or whip up a new page—at 2 a.m.? Your user interface to FICMS empowers you to delete, edit and create new content anytime, as needed. You don’t need to wait for anyone on our end to get approval or assistance. Just run with it. Let’s say a customer was upset because information on one page of your website was incorrect—but didn’t provide much clarity about its location. The FICMS search function makes it easy to locate the problem and fix it fast. This gives you another chance to show your customer just how responsive you are to their needs and concerns! You can’t be everywhere at once, so FICMS enables you to select a team of trusted staff ready and able to handle updates with their own secure logins. Granular security controls also help you control access to certain parts of the website so they are only edited by management. Your website is one of your most valuable customer-facing “employees”. You have to work to provide fresh, correct content and respond immediately to what the customer needs without clutter getting in the way. 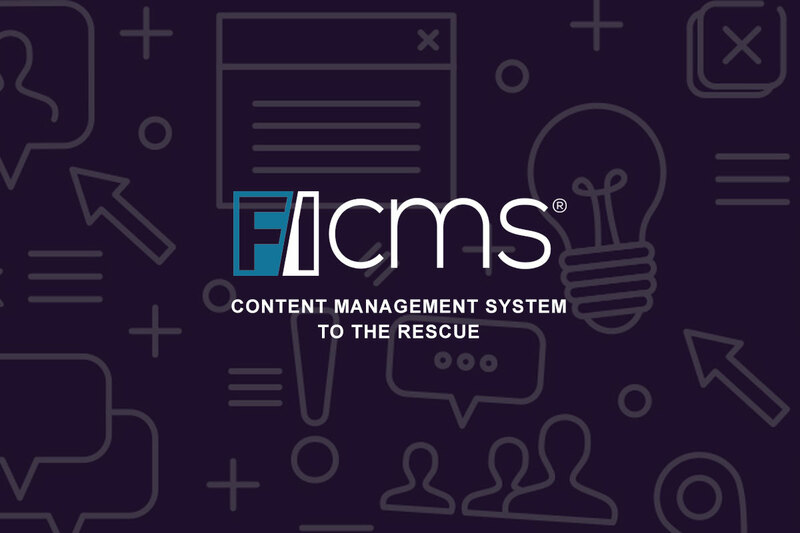 FICMS gives you the time-saving power to keep your website well maintained so it serves your customers the way you want it to; streamlining and simplifying the process so you can spend more time building customer relationships yourself. Need help taming your website content? Just let us know and we can help you get the most out of FICMS.